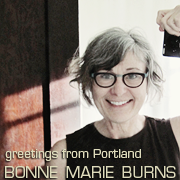 Register for classes with Bonne Marie Burns at the Oregon Flock & Fiber Festival! I’d like to invite YOU & your friends to join me for some great class sessions! Learn how to find the Real Size you need to pick from a pattern for Real Success (and wearability). This class will explore: sSweater architecture, how that translates to the Body, what your size is, the mystery that is called ease, and how you can use all of the above to make it work for YOU! If you love the look of lace but are mystified by all those stitches and instructions, fear no more! Learn to master the vocabulary and symbols to make beautiful decorative fabric. This class will explore: a small historical look at 20th century Lace, what Lace is and how we describe It, chart skills, techniques & demos, & how to read your knitting. I love teaching both of these essential but FUN topics. Please bring your friends and join me for some knitting adventure!